Crispy chocolate cookies filled with luscious cream, then dipped in white or milk chocolate. 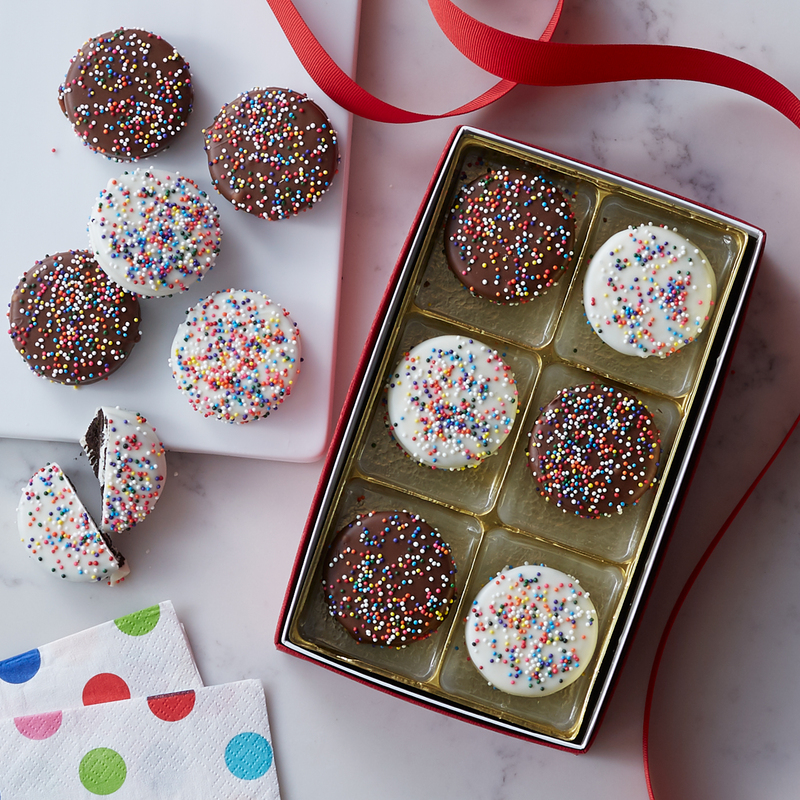 Colorful sprinkles add a festive touch that make these sweet treats perfect for celebrating any special occasion. Send as a thoughtful gift for a birthday, to say thank you, or just because.